Air is the indoor ramp experience pro-designed for maximum flow. Located inside YMCA Thornton on Victoria Rd East, Thornton-Cleveleys, Air Skate Park offers 17 interconnecting ramps, pipes, banks, ledges and rails for boards, BMX, scooters and blades. Know your limits and look out for those around you. Rider safety and respect for each other comes first. Check out session times below for all wheels, individual board only, BMX only etc sessions, coaching and family sessions. Boards, BMX, scooters and blades all welcome. Board only, BMX only and Scooter only sessions available across the week. Skate coaching programme now available for under 8’s and 8+ every Saturday morning. 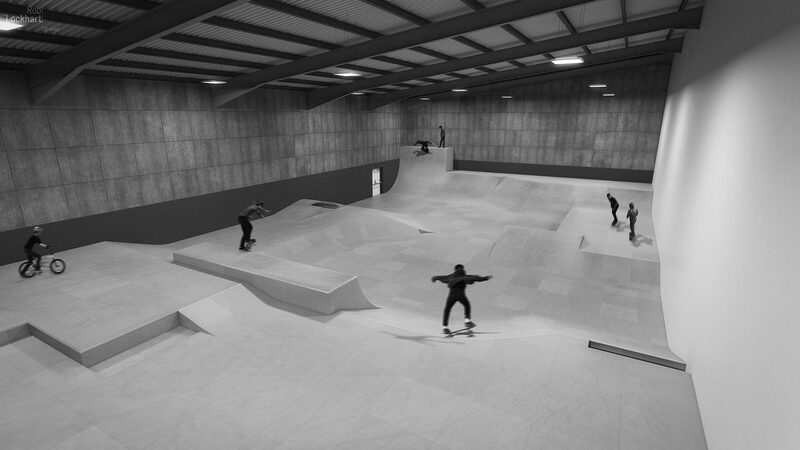 Each programme runs for 6 weeks with Air coordinator and qualified skateboard coaches. Through this programme young riders progress through levels 1 to 6 (beginners to intermediates) learning at their pace. We’ll also provide participants with an introduction to skate park do’s and don’ts and the importance of safety first. Ollie 180 – rotating upper body, pop tale whilst unwinding upper body, scrape front foot up and land with bent legs. We don’t expect all riders to grasp the full 6 levels in 6 weeks and additional programmes can be added on until riders feel confident and safe. £30 for 6 weeks programme. Pre-booking essential. Download and complete the Air Registration form to speed-up booking and check-in. Come down on Beat Night for fresh live tunes as a backdrop to your ride.